Designed precisely: The peak torques of the AKM servo motors are exhausted to the maximum for a brief period on the test benches. 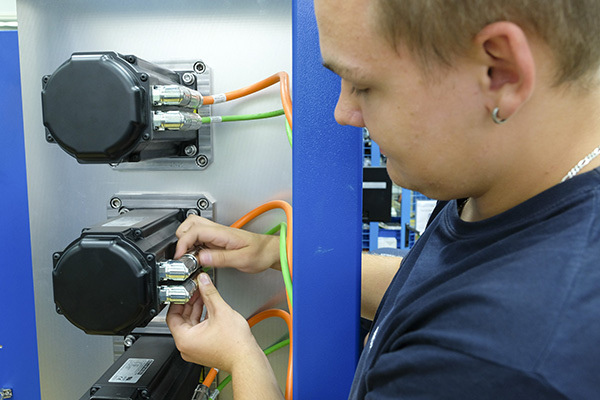 Employees in the test room constantly face the challenge of testing components and assemblies before the peripheral equipment associated with these – i.e. the subsequent overall product – is even available for real. 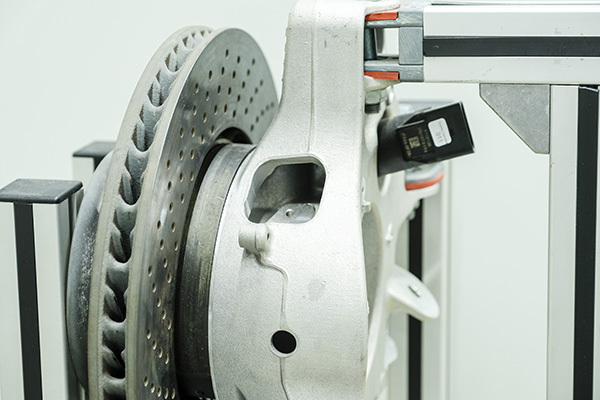 When employees are testing power assisted steering for instance, driving situations need to be simulated precisely even though the associated car is not even on the market yet. Gear and transmission specialist IMS Gear uses servo drives from KOLLMORGEN to represent authentic original situations on its test benches. The range of tests is a diverse one, requiring creative designs and with high standards related to the control technology. Comfort, safety, mobility: electromechanical drives installed in cars move in line with these three concepts. The usage areas derived from this range from cooling fans to headlight range control and automatic clutch systems. Door closing mechanisms, seat adjustments, parking brakes and automatic trunk closing aids are also driven electromechanically with soft close automatic mechanisms. Whether used as part of the chassis, bodywork or engine: electromechanical drives are extremely important in vehicles. One specialist in this area is international leader in gear and transmission technology IMS Gear SE & Co. KGaA located in Donaueschingen in Germany. IMS Gear is a permanent fixture in the automotive sector with its technical solutions for components, assemblies and gears. “Just imagine you are traveling down a steep pass to a mountain lake with your boat attached to the tow-bar and want to launch it straight into the water. When you reverse the car into water that may be around ten degrees Celsius, the brakes get a shock after the descent from the mountain, because they go from around 140 degrees Celsius to just 10 in a matter of seconds.” This is how Markus Domachowski, Test Lab manager at IMS Gear, describes real-life events in the life of a car. Extreme events such as these are the ones that make the design for the corresponding testing technology so demanding. 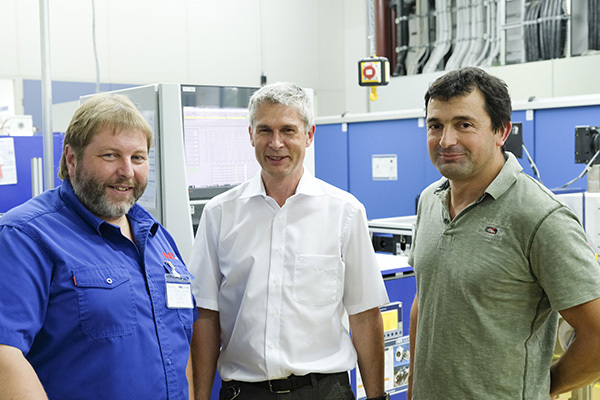 “The goal is to simulate subsequent actual usage in the car”, says Domachowski, before speaking of approximately 150 test benches in operation at IMS Gear – mostly driven by servo motors from KOLLMORGEN’s AKM series. The job of the AKM servo motors is to simulate typical loads. With a tailgate drive for instance the DC motor has to cope with different torques with varying speeds. The resistance increases if the motor pulls the trunk door the last few centimeters into the seal of the body. In this case the AKM servo motor generates a correspondingly high torque in the role of the seal and thereby simulates the real-life situation. Cases involving typical operating errors simulated on test benches are equally exciting, such as when the driver tugs at the tailgate out of habit instead of pressing the button on the key. The assemblies also have to endure these types of events in addition to continuous operation. The vehicle’s staying power can only be validated with endurance tests and targeted aging measures. The KOLLMORGEN S700 range servo drives form the centerpiece of the control system. “We require a very flexible controller because we often need multiple operating modes in one test”, explains Markus Domachowski. The S700 can be freely programmed in the IEC 61131-3 languages and is designed primarily to fulfill particularly complex drive tasks – up to and including SIL3 with respect to safety engineering. 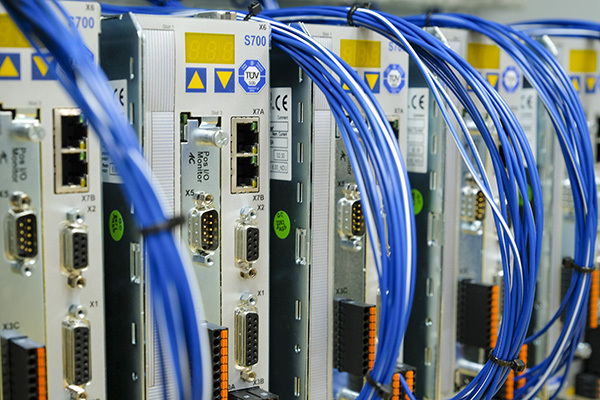 The S700 servo drives are connected to the higher-level control system via EtherCAT. IMS Gear relies on the LabView System with the CompactRIO from National Instruments for this. Quality begins during the product and process development phase with customers for the automobile supplier from Donaueschingen, because the closely interlocked project management process also includes quality assurance measures from development through to serial production. “The specially coordinated testing equipment ensures the quality of the finished gear wheels, assemblies and gearboxes in accordance with customer requirements”, explains Domachowski. The Test Lab manager has been working for IMS Gear for nearly 30 years and also passes his knowledge of mechatronics onto younger employees as training manager. Knowing the processes enables employees to design the servo drives used on the test benches precisely together with EAT. A bit of a balancing act is required with each test bench so as not to size the rated speeds and torques too generously. “When we need to deal with relatively small torque requirements, we can’t have too large a layout for the motors, because this influences the measurement results as a result of the dead weight being too high”, explains Peter Faller, testing engineer at IMS Gear. The aim of the joint development work with EAT – which was also honored as “Partner of the Year” by KOLLMORGEN in 2016 – generally involves exhausting the peak torques of the AKM servo motors. “We can make the most of the high overload capacity because the motors are only under a heavy load for a brief period during the test cycles”, highlights Christian Reinsch. The synchronous servo motors together with the S700 servo drives guarantee very good true running characteristics as a result. The S700 provides cogging compensation at this point in order to balance out the cogging torques that occur naturally with the motors. “We exclude any of these types of interference wherever possible on our test benches”, highlights Peter Faller. Christian Reinsch from EAT sees “the AKMs as some of the best servo motors in the world with their power density and performance”. KOLLMORGEN has been able to increase the power density by up to 30 percent with the new AKM2G generation of motors available since 2017. The success is in the detail here. The increased power density with improved torque/speed ratio is primarily the result of the optimized stator geometry. This has allowed KOLLMORGEN to reduce the copper losses in the windings. The benefits: improved energy efficiency and space for more output with the same construction volume. The AKM2G range also features smoother cogging behavior, which ultimately improves control accuracy. This widens the options for testing components for the automobile industry more effectively during continuous operation for companies such as IMS Gear. IMS Gear tests the long-term behavior of parking brakes on brake test benches. The drives must show excellent control characteristics for this. EAT uses the S700 KOLLMORGEN servo controller for precise and complex control tasks. Rapid assembly: constructing test benches is part of the training for up-and-coming talent at IMS Gear. Test benches constantly represent a particular challenge. Christian Reinsch, Markus Domachowski and Peter Faller work together closely on this.